The Alliance 910 is the non-folding version of the Alliance 900. Both Alliance models are similar to each other, but this 910 unit has the edge in terms of features that are being offered. Is This Treadmill Right for You? Both Alliance models are similar to each other, but this 910 unit has the edge in terms of features that are being offered. If feature rich treadmills are what you want, then this might be the machine you’re looking for. Plus, it is priced below $1,500, so most people can afford it. Just like the Alliance 900 version, this one comes with 2.5HP continuous duty motor that reaches 10mph and 12% incline to give you an intense workout no matter what fitness level you’re in. This unit also offers a slightly longer 20” x 58” orthopedic belt. This belt is softer than ordinary belts, but the problem with it is that is causes more wear and tear to your machine. Aside from the 4 preset, 8 custom, and 2 user programs, this model also features a heart rate program. This program would adjust your workout according to your heart rate, which would be measured using the heart rate chest strap. 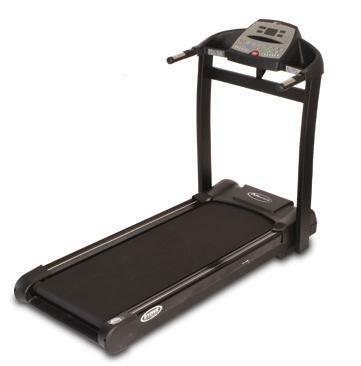 And finally, like other Keys’ owned treadmills, it boasts the classic 10 year motor warranty which is one of the best in the price range it’s in. Other warranties include lifetime for frames, 2 years for parts and 1 year for labor. The ortho belt being offered is definitely a weakness especially since treadmills produced by Keys has a reputation for bad finish quality. I don’t recommend the Alliance 910 treadmill. I think the ortho belt combined with the below average finish quality of this model would cause you lots of repair bills after the warranty. If you plan on buying an Alliance 910 Treadmill, I suggest you locate a dealer through Amazon. It is currently being sold for$1,399.